Avior Side filers will fit neatly onto the end of radial desks providing local storage and extra desktop space. 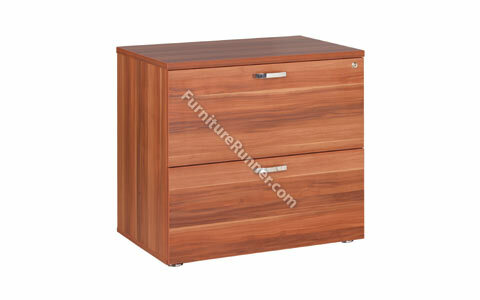 All Avoir Filing Cabinets are fully lockable and anti-tilt. They will also accept foolscap size files. Avior offers a contemporary range of Desks, Tables and Storage units. Offering a 25mm thick top and panel end construction. Ideal for use in any executive office environment.